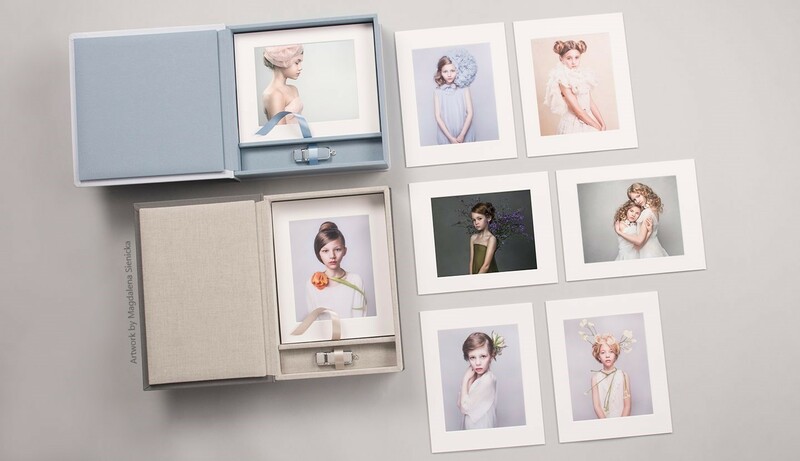 What is a Folio Box and Why to Stock Up Your Studio with One? Snapshot: a Folio Box is a stylish compilation of a number of ‘fortified’ prints (usually between 5-20) collected in some form of box or case. I say “‘fortified’ prints” because while Folio Boxes contain a collection of single images they are more than just thin paper printouts. 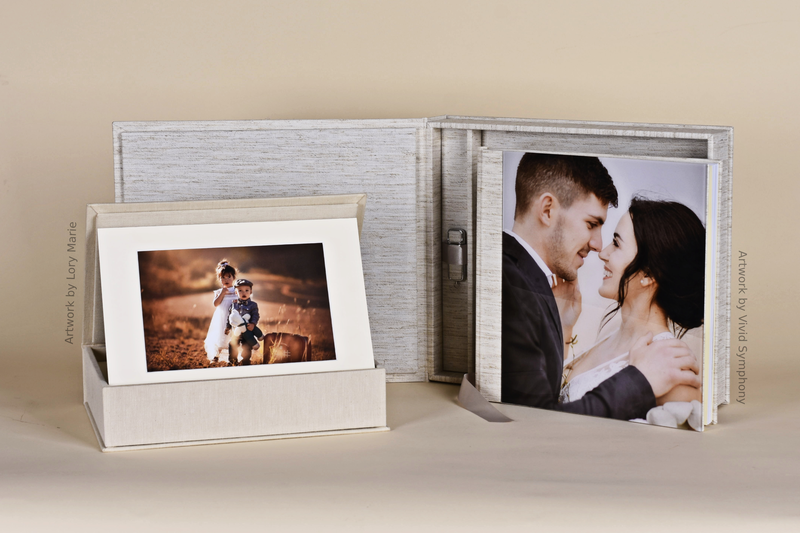 For example, at nPhoto we offer two options for Folio Box prints: matted or board mounted. Specifically, our Matted prints in our Folio Box come pre-assembled; mounted in a thick frame (for sizing details see here). The frame is constructed of rigid, professional grade, paperboard meaning quality and sturdiness that will stand the test of time. 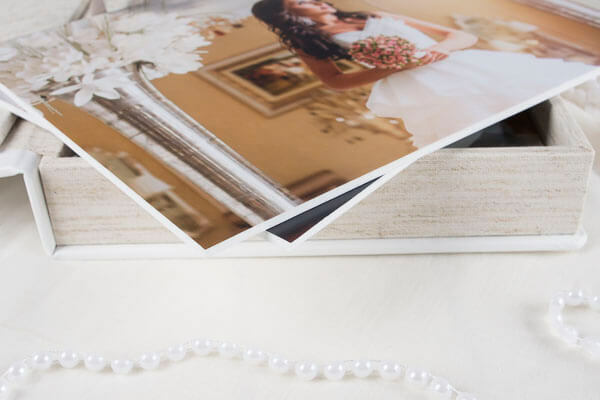 You can choose between six different color options for your mat frame and the Matted option gives you the choice among our Fuji Silk (found standard in our Photo Albums), Canon Deep Matte, and Mohawk Eggshell papers for your prints. Our matted prints are approximately 3mm thick and, once again, come pre-assembled allowing you to present them as soon as you receive them. On the other hand, is our Board Mounted prints. These prints are printed on the same rigid material that our frames from the matted prints are made of. In this way Board Matted is an option that ensures long lasting integrity and stiffness of your Folio prints. With the Board Mounted option you have the choice between our Fuji Silk paper, or Mohawk Eggshell. Can’t decide? Fear not, in truth either option ensures a durable, stylish upgrade to a traditional print. Additionally, it’s a smart idea to sample both options to find out which you and your clients prefer most. Now, back to the Folio Box in general. What is it about this product that makes it such a must-have for photographers and their clients alike? It’s a professional, artistic snapshot. Now I know, the term ‘snapshot’ tends to have a negative, amateurish connotation to it -but I’m here to push back against that association. In reality, a snapshot is simply a summary; a concise product. If it is created by a professional with artistic intentions there is no reason it cannot be a professional, artistic output with high integrity. And here is where we come back to our Folio Box. After all, that’s what a Folio Box really is: a professional, artistic snapshot. In fact, that’s largely what makes it so appealing. Let face it, nearly all photo products are stylish and high-quality, but where the Folio Box separates itself is in its conciseness and practicality. What I mean is; a Folio Box is essentially a snapshot of a shoot that likely compiled over a hundred images. Yet, instead of drowning your clients in a repetitious sea of similarity you narrow it down to a few of the most powerful and poignant and provide them in the form of stylized singles. In this way they can double as either a true collection; or an assembly of standout, stand-alone images. After all, as much as we all love albums, in this day-an-age of constant rush the snapshot is king and queen. Often people want a photo shoot either of themselves, or their children, or their pets even, but don’t want to need to make time to sit down and enjoy the final product. Instead they’d like a meaningful memento, but one that can be enjoyed, well, in passing. 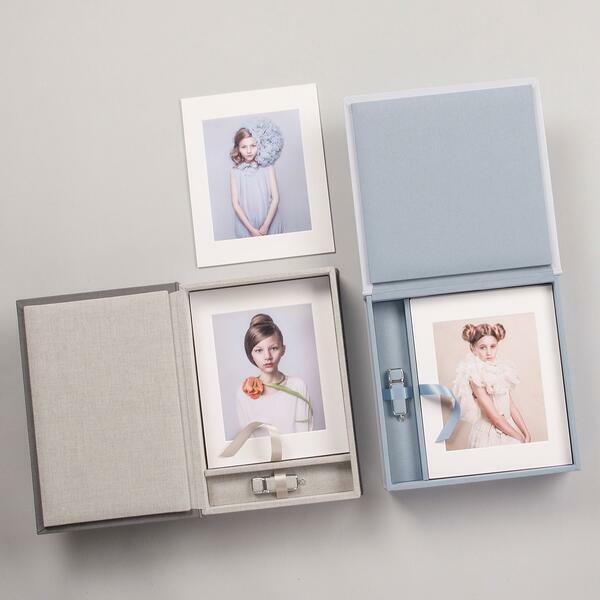 Folio Boxes present that perfect solution as they offer the ease and efficiency of a handful of single prints that can either be enjoyed comfortably out of the box, or displayed around the house and constantly viewed in passing. Yet, the quality is not diminished for this convenience. Instead album quality printing is retained and the prints are mounted giving them a ‘fortified’ and more significant appeal. The reality is the Folio Box is on the verge of a major breakout. Personally, I view it as the 21st century’s version of the photo album. The versatility and style of the product make it something that any and all can enjoy. Moreover, in the age of social media, it provides artistic prints of integrity in a medium more recognizable and readily consumed to the average consumer of today: the snapshot, or pic. So why bother with a Folio Box? Well I hope I’ve convinced you that Folio Boxes, if not already, are the next big thing. They are the efficient, slimmed-down album in a time where we’re all looking to ‘cut down’. However, this has not bled into the field of quality. 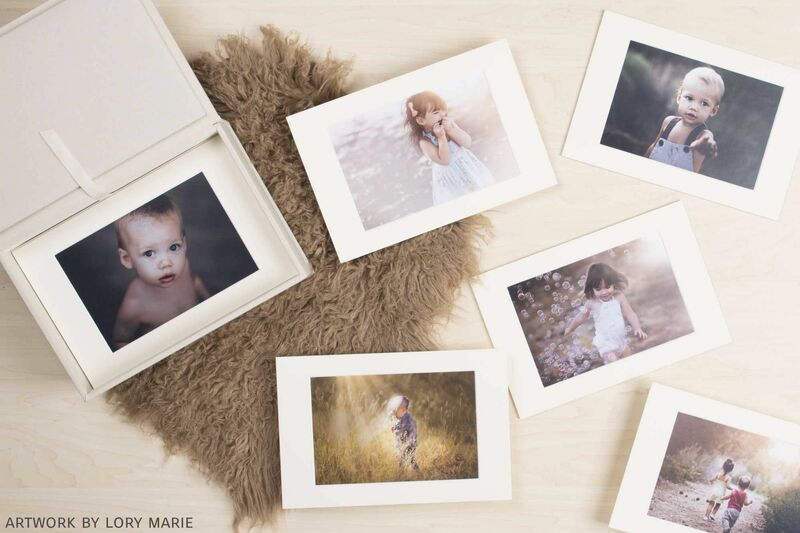 Simply put: they are a must-have for professional photographers and their clients alike. In conclusion; stock up on Folio Boxes so when an investor asks you for a snapshot of your business you can confidently display rising profits.